It will all come down to Saturday. 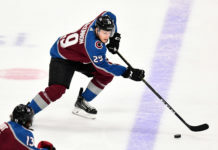 The Avalanche dropped their third straight game, failing to put a bigger cushion between themselves and the St. Louis Blues following to a 4-2 loss to San Jose. 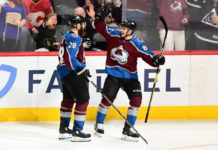 They will now face off against the Blues on Saturday evening at the Pepsi Center in a game that will determine which team will head to the playoffs and take on the top-seeded Nashville Predators. The game got off to a tough start for the Avalanche. While they were struggling to create offense at the other end, the Sharks were peppering Jonathan Bernier early, and it didn’t take long for them to get a good bounce. A little under three minutes into the period, a point shot from Justin Braun bounced off Gabriel Bourque’s skate and beat Bernier up high, giving the Sharks the early lead. They would continue to hold that lead until the third period. The Avalanche would create chances, but the Sharks would keep a lot of it to the outside. As the game headed into the third, it would take a power play for the Avalanche to get on the board. Mikko Rantanen, who has struggled over the last several games, found himself with an open chance off a Nathan MacKinnon rebound, and wasted no time beating Martin Jones over the glove to tie the game. The goal should have given the Avs’ momentum, but a penalty by Blake Comeau not long after would kill all of that. San Jose would not take long to get their lead back. Some scrambly play led to a wide-open Logan Couture with the puck — and he beat Bernier with a quick release to put the Sharks back on top only 35 seconds after Rantanen’s goal. 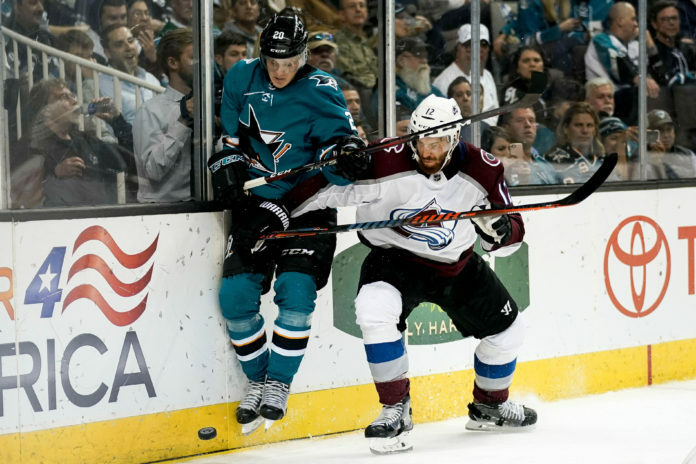 Just four minutes later, some poor play by the Avs’ top defensive pairing would lead to an extended shift for the Sharks, that ended with a goal when Joonas Donskoi would beat a stickless Bernier. Comeau would deflect a David Warsofsky shot past Martin Jones for the Av’s second tally of the night, but that was all the Avalanche would muster. An empty-net goal by Tomas Hertl would finish the game off, and the Avs are now headed home with their season on the line. 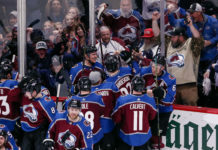 What the Avalanche need to do to advance on Saturday will be fully determined after the Blues play Chicago tomorrow. Regardless of what St. Louis does against the Blackhawks, a regulation win by the Avalanche will send them to the playoffs on Saturday. The game will start at 7 PM MST, and will be must-see TV. The Avalanche welcomed Mark Barberio back to the lineup, and his presence was noticeable. His ice time continued to go up as the game went on, and he is a considerable upgrade to the bottom pairing. Nathan MacKinnon is now goal-less in nine games, and continues to be snakebit. He appeared to hit the crossbar late in the game. Patrik Nemeth blocked a shot with his hand late in the game and never returned. His status for the season finale was unknown. Jonathan Bernier was a question mark heading into the game due to the flu, but was able to step in and played quite well, despite the loss. Whoever wins on Saturday night will take on the Nashville Predators in the first round, who clinched the Presidents Trophy this evening for the best record in the league.